While pristine snow Friday surrounds Cement Creek, the flowing water tells a different story. 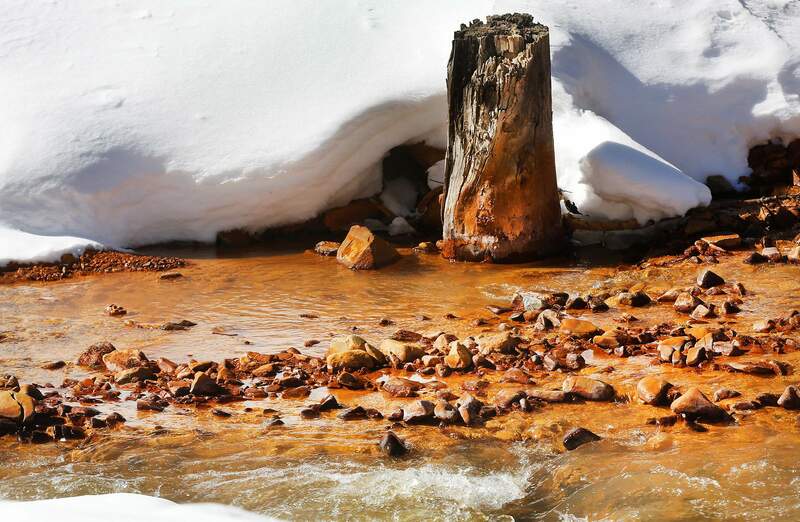 The creek still carries a toxic cocktail of minerals that flows from several mines northwest of Silverton. All around Silverton, where a series of mines – once lucrative, now abandoned – pock the earth like gaping, oozing wounds, the waters course with poison. 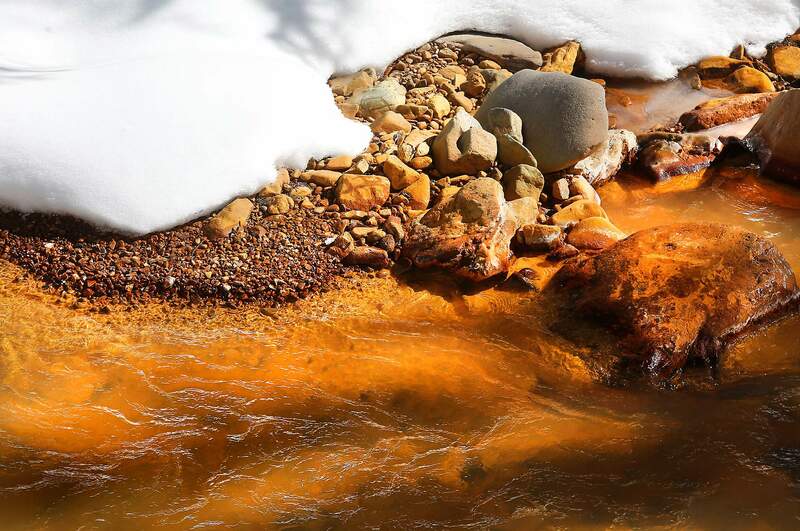 Silverton resident Melody Skinner said her now dead dog Hannah wouldn’t drink water from Cement Creek – which U.S. Geological Survey scientists say is the largest untreated mine drainage in the state – though the creek runs right by her house. The EPA’s Cynthia Peterson said she and colleague Paula Schmittdiel had visited Silverton six times since last April. Other Silvertonians attribute their increasing openness to the Superfund route to their growing disillusionment with the ARSG, a volunteer group that has tried to find solutions to water pollution caused by mine drainages since the 1990s through a “collaborative process” that includes the EPA and Sunnyside Gold Corp., the last mining company to operate in Silverton. Sunnyside adamantly opposes a Superfund listing. The designation would give the EPA broad powers to force any parties it deems responsible for damage to pay for a cleanup. Sunnyside continues to endorse the ARSG. “Sunnyside continues to fully support the collaborative approach and believes the Animas River Stakeholders Group’s collaborative timeline schedule can profoundly improve water quality in the Animas River,” Perino said. But Poole was among Silvertonians who said he has become impatient with the collaborative process, saying Sunnyside, which denies liability for the mine pollution, merely is proposing a “game plan” to avoid Superfund. Sunnyside Gold Corp. is owned by Kinross Gold Corp., an international mining conglomerate with a market capitalization of $3.7 billion, according to its stock evaluation. A majority of the San Juan County commissioners say they still support the ARSG and object to Superfund. 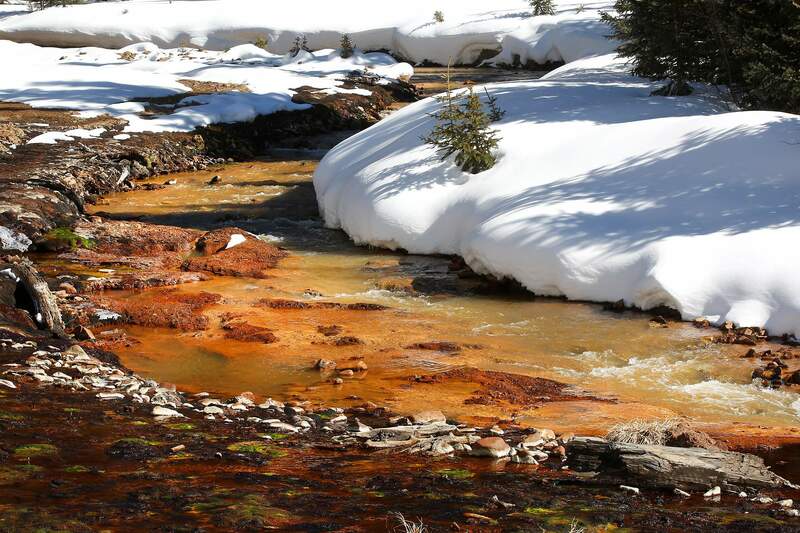 While the apparent shift in Silvertonian public opinion could have implications for the legal brinksmanship between the EPA and Sunnyside Gold, many residents said the lack of resolution surrounding metal pollution in the Animas had become embarrassing. Paul Beaber, who grew up in Silverton, recalled a conversation he had with a fisherman near Animas Surgical Hospital in Durango five years ago. “The guy told me there was no trout anymore because Silverton killed them. And the problem of water quality in Durango has gotten even worse since,” he said. Silverton resident William Dodge said “there’s been testing for decades. Given the harm done to the environment, the Animas isn’t going to heal itself naturally. People say they’re concerned about the negative impression that Superfund might create. But Silverton has danced around the subject for so many years, as conditions just keep getting worse. I can’t imagine something more negative than what’s already happened,” he said. If alive, Skinner’s dog, Hannah, might disagree.